Here's where you can request an appointment to bring your class to the library and learn about library services for instructors. Madison College Libraries information literacy program supports the academic mission of the College by providing students with tools for identifying, locating, selecting and evaluating reliable and accurate information in their chosen areas of study. In so doing, we promote information literacy as an academic, professional, and lifelong skill. 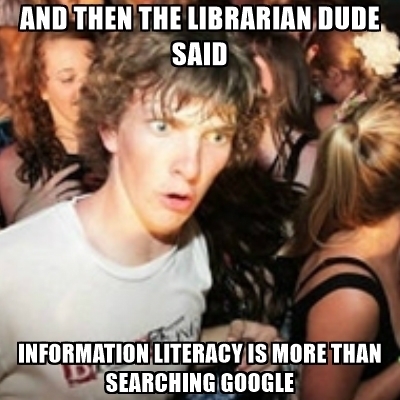 Familiarize yourself or your students on the terminology related to information literacy. Refer to the information literacy standards of Madison College Libraries and how they relate to recognized standards of library associations. Discover information literacy options for online learners. Schedule a library session for your class with a librarian. Madison College Libraries instruction follows the Information Literacy Competencies established by the Wisconsin Association of Academic Librarians. Librarians consult with the faculty member about the objectives of the session. Sessions can be one class period, part of one period, or spread out over more than one class meeting. To optimize the instructional experience, we ask that instructors attend the library instruction sessions. We reserve the right to cancel the session if an instructor is not present. Students can also set up individual library research appointments. Use the Book a Librarian calendar to schedule a reference appointment or contact the librarian at your Madison College campus. According to the American Library Association, "Information literacy is a set of abilities requiring individuals to "recognize when information is needed and have the ability to locate, evaluate, and use effectively the needed information." Daniel J. Boorstin, Quoted in: New York Times, 8 Jul 1983. Gamarekian, Barbara. "Working Profile; Helping the Library of Congress Fulfill its Mission." New York Times 8 July 1983: n. pag. New York Times. Web. 13 July 2010.